In my front entry way I have a little area that I have turned into a little sitting area. This area has become one of my favorite spaces. We gather there for homework and I found that my kids love to sit in these comfortable chairs and color and read. Since we use this area as a hang out we need a little table between the chairs to use and to help complete the space. I found this cute end table at Target and I also found this lamp and floral piece. I love the pop of color the lamp brought to the space and the flowers add such a homey feel. 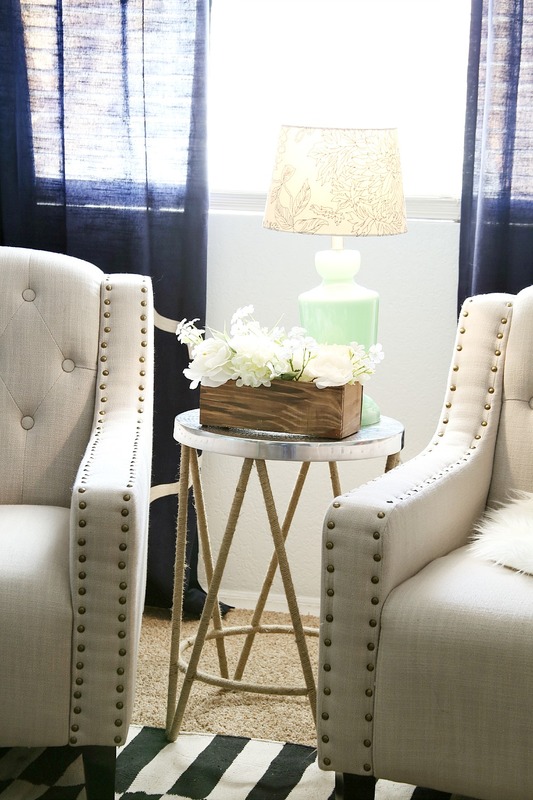 My Tips for styling and picking an end table is to…. First, know what look you are going for in the space. Do you want more of a casual look or something more sophisticated and formal? Second, pick the right end table. 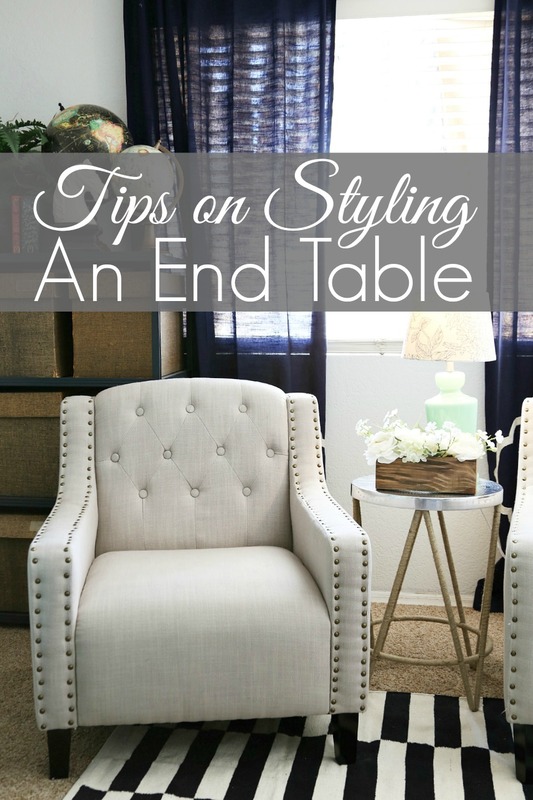 If you have a heavy piece of furniture near the end table then pick an end table that is not so heavy. Pick an end table like the one I chose that has legs that you can see through. 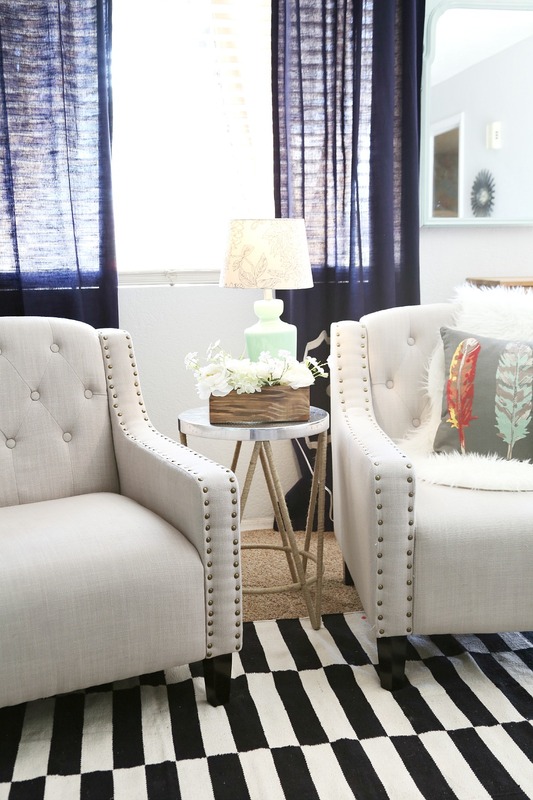 If you have furniture with a lighter look, like a chair with pin legs, then you may want to go with an end table that has a heavier look to it. Third, accessorize the table with things you love. 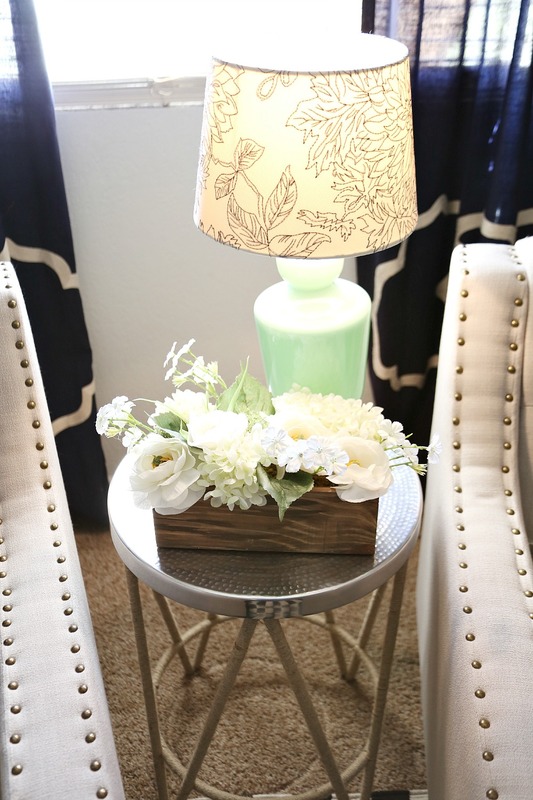 An end table is a perfect spot to add a bit of color and add a little more light. I like the look of having something tall and something short. It is pleasing to the eye. I like to add flowers to end tables because I love the texture and the feel that they bring. Flowers just make me happy. 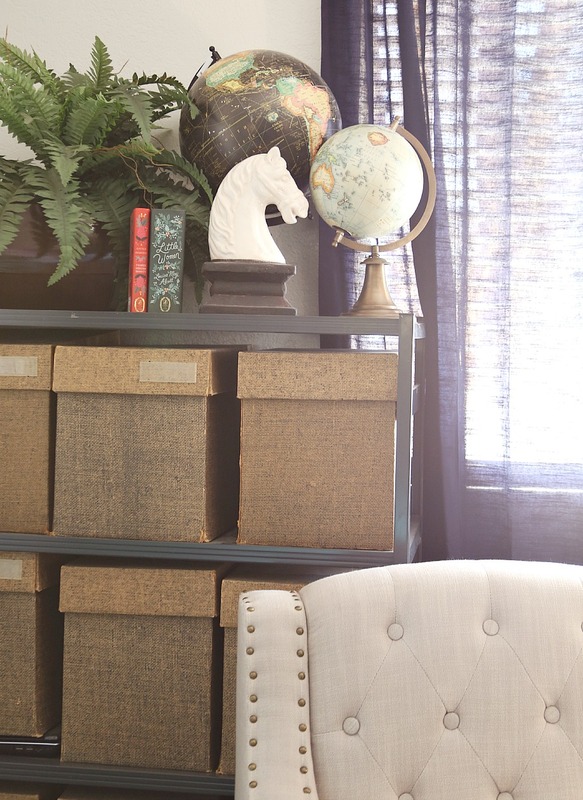 I also styled this little bookcase that I have near the end table with pieces that are tall and short. I think the plant adds that great texture that I was talking about. 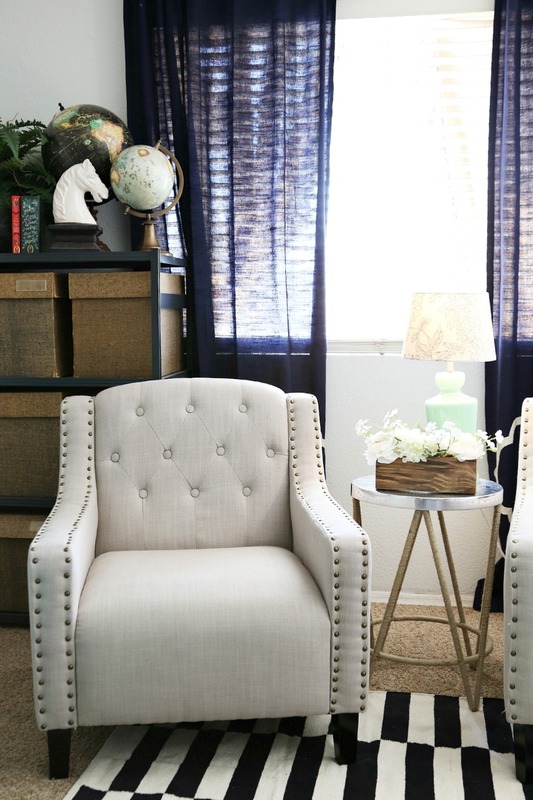 End tables are such a perfect complement to a cute set of chairs or a great couch. 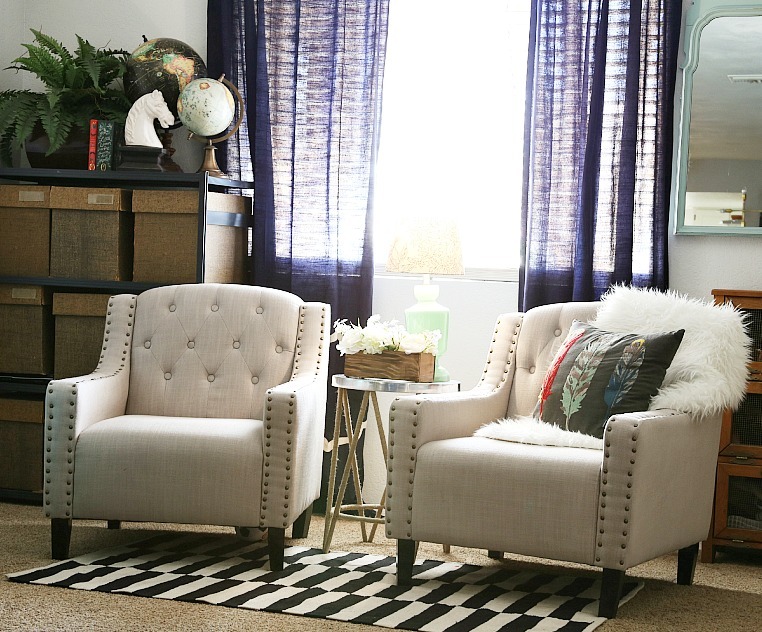 Better yet, end tables can be very affordable. The one I have here is under $60 and it completes this space. 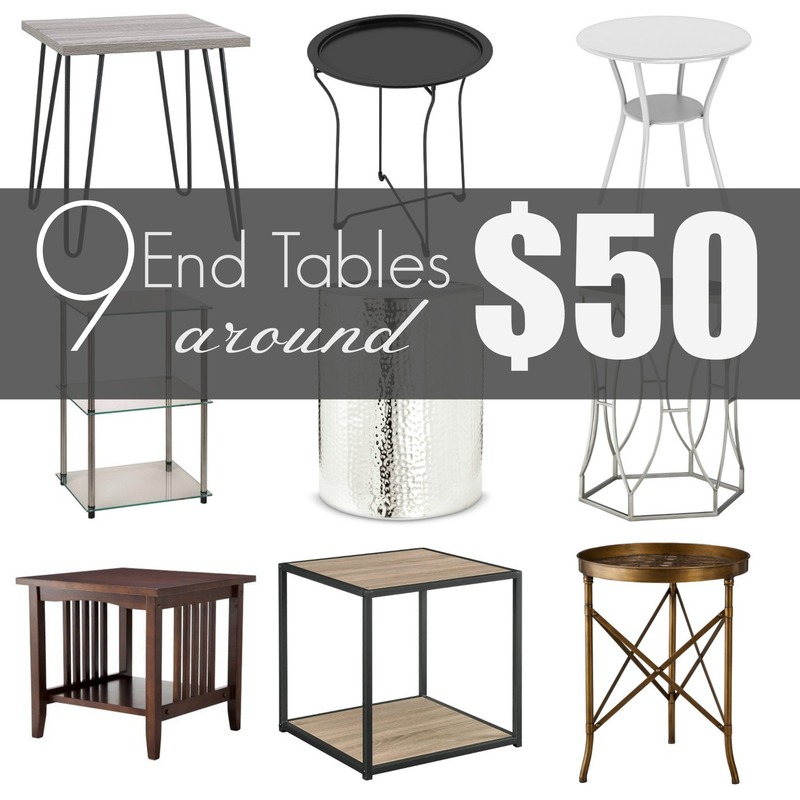 Here are a few different end tables that I love and they are all under $50. Now go and find yourself a perfect spot in your home for an End Table. 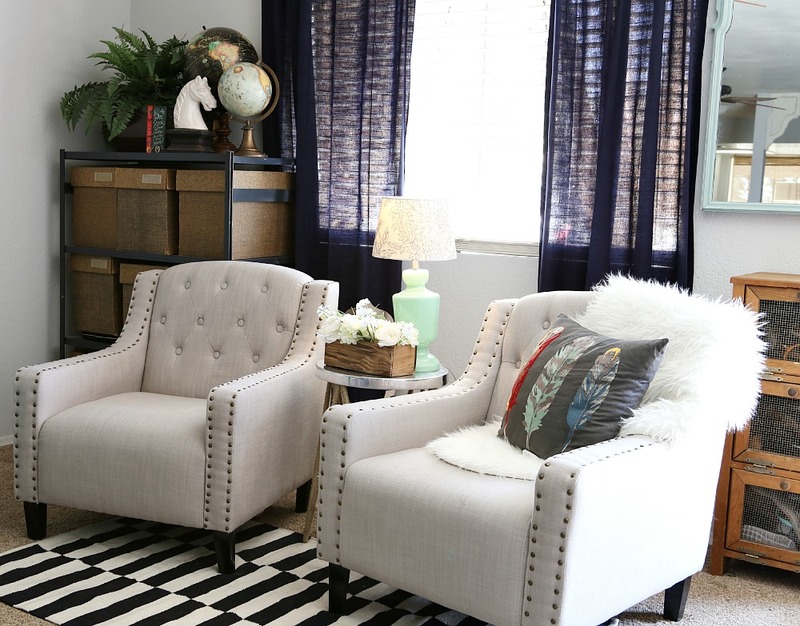 Be sure to check out the amazing accessories from Target to complete the space. Where did you get those chairs. They are beautiful. The space looks so great. Thanks. I was wondering where you got those chairs. I love the and am looking for new chairs. Thanks.